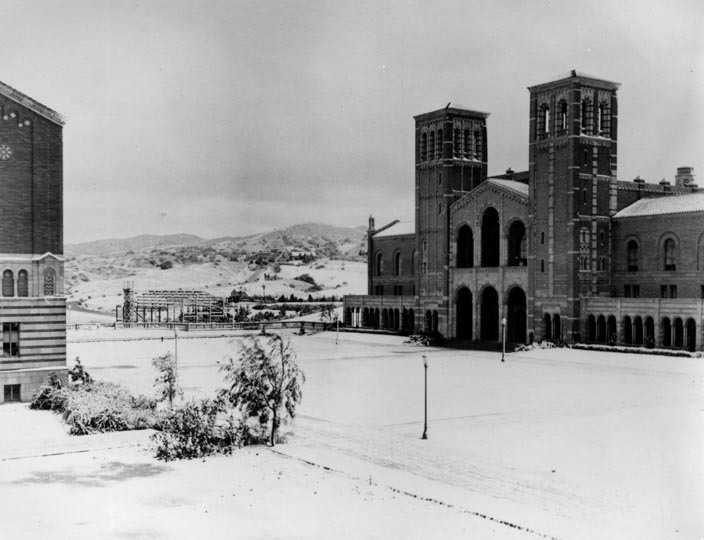 Apparently, it might snow in metro Los Angeles this weekend. Much more likely in the inland valleys (against the San Gabriel and San Bernardio Mountains) than anywhere along the coast. Whether or not that happens, I doubt it will look anything like what Westwood experienced the morning of January 15, 1932. Now THAT would have been amazing to have seen.